Authorities were investigating on Thursday afternoon after an unknown substance was found on a train car. 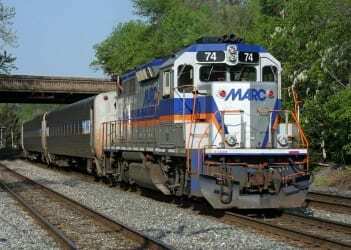 At about 3:45 p.m., crews responded to the MARC train station in the 2700 block of Eastern Boulevard (at White Marsh Boulevard) in Middle River. Reports indicate that about 100 kg of an unknown white powder was found on a rail car. Hazmat teams are on making their way to the scene and a decontamination crew has been requested.